Like the future, digital transformation is already here. It’s just unevenly distributed. The impact of digital technology in all its forms is already having a profound impact on business, government, science, the arts, communications – OK, nearly all aspects of human endeavor. In the wide world of global digital transformation, I can’t help focusing on the sales and marketing revolution going on in my own backyard. As digital technology transforms entire industries and organizations, what happens to sales and marketing? In many organizations, sales and marketing have been among the first enterprise functions to experience digital transformation. 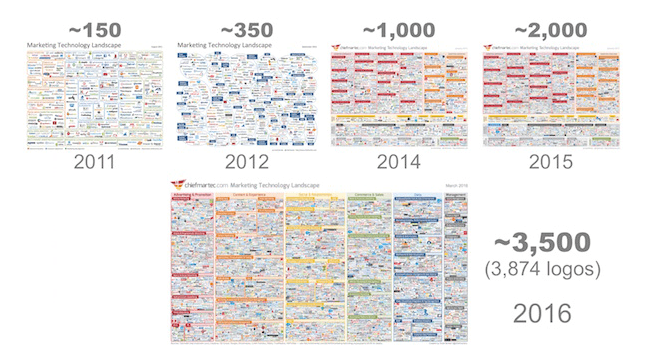 A great illustration of this growth can be seen in the expanding universe of marketing tech solutions. 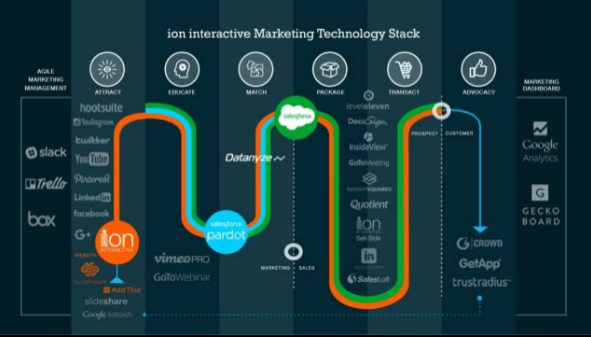 In his Chief Marketing Technologist Blog, Scott Brinker notes that the number of tech marketing solutions has jumped from approximately 150 solutions in 2011 to about 3,500 in the 2016 Marketing Technology Landscape graphic. But technology alone is never enough to deliver transformational results. That still requires forward-thinking humans who understand innovation and its opportunities and challenges. But who are these humans? How will they manage all this change? Cloud-based everything offers some great solutions, but presents a great problem. With so many different applications and services springing up to support multichannel, multidevice customer journeys, the digital marketing Stack Master will ensure stacks are complementary, comprehensive and aligned with organizational goals. Currently, marketing apps are frequently chosen by different individuals as point solutions and not chosen for the long-term success of the organization. How many SaaS tools has your company signed up for? 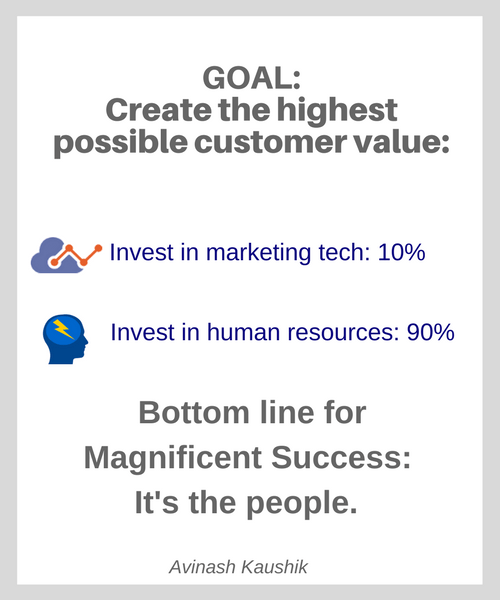 Demand gen, CRM, Sales enablement, analytics, customer success — the stack up quickly. Which apps are performing, or not performing? What’s the total cost? The ROI? These are Stack Master questions. A great resource for Stackmasters and fans would be the Stackie Awards from Chief Martec. Organizations are encouraged to submit a single-slide graphical depiction of their marketing tech stacks in the annual competition. In addition to some recognition for smart marketers, the Stackie slides are great examples of marketing tech thought leadership and design. User Experience Design is not a new role, but it’s become a crucial role that goes beyond digital marketing. It’s table stakes that your website and marketing assets have a clean, contemporary and consistent look. But with so many users having different brand interactions using different channels and devices, some consistency and standardization is needed. You can have the world’s greatest content assets, but a bad experience on a tablet or mobile devices can turn users off in a hurry. Marketing is no longer about the right message to the right people at the right time. It’s now the right UX for the right people at the right time, throughout the user life cycle. The User Experience Master is responsible for the quality of every customer interaction, and serves as a user advocate or champion. That means if you have a great product with a terrible onboarding experience or dismal support, that’s documented and addressed. The most advanced technology in the world will be a commercial failure if humans find it painful to use. Brand relationships are built up (or down) with every customer interaction. These user experiences start the first time a customer registers the existence of your brand name and continues until they are brand champions and influencers. Quick, name one aspect of digital marketing that’s NOT impacted by AI and machine learning. Tough, right? The Artificial Intelligence Master will be responsible for assessing whether marketing and customers success tasks are better performed by algorithms or humans. AI can undoubtedly do wonders for marketing, but it will be a human task to figure out its best applications. Agile marketing teams are continually looking at content and campaigns with the goal of continual improvement. These teams create a cadence and spin through the cycle with maximum acceleration for rapid growth. Daily progress updates typically include a project manager, copywriters, designers, UX, SEO and analytics roles. Cool resource: A great step by step guide to agile marketing guide by Mckinsey and Company. The promise of digital marketing is to reach new levels of engagement, relevance and user experience. When “The Lean Startup” was published in 2011 by Eric Ries, innovative few companies were thinking in terms of systemic, continual innovation. Today, agile approaches like the one below are a necessity for growing a digital business. One of the biggest reasons organizations fall behind on digital initiatives is awareness and education. Marketers who don’t understand organizational shifts driven by digital transformation can’t be expected to handle change productively. In addition to clear communications, organizations will need to ensure that training for evolving career paths is built into corporate culture. Fortunately, a ton of ed tech vendors and marketing thought leaders are stepping in with training to help traditional marketers develop data-driven skills. It’s good business. According to Research and Markets the global e-learning industry will be worth about $325 billion by 2025. So, the bottom line is that transformation can be scary. Many of today’s traditional marketing roles and tasks will fade away. Marketers in the future will have their hands in processes that have traditionally been in the province of IT, customer support sales, project management office and more. Time to roll up those sleeves and get to transformation work. Transformational thoughts? Speak your mind in the comments!